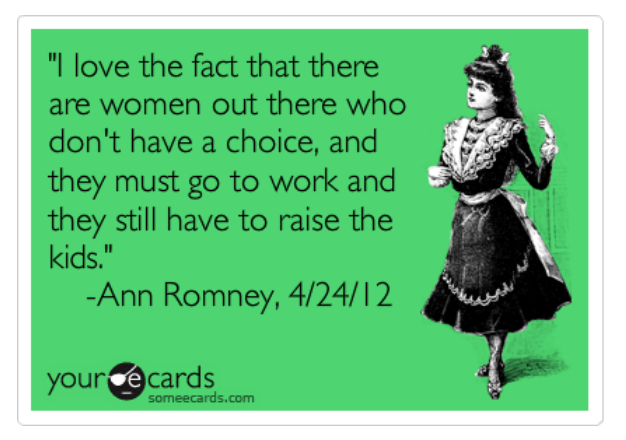 This is something I worry about too, but when Ann Romney states it so bluntly, I worry even more. No one knows Mitt better than her, and she’s worried for his mental well-being. A moment of honest candor on the campaign trail, to be sure. In an interview last Thursday with television station KTVN, Mrs. Romney was asked what her biggest worry was should Mitt Romney be elected to serve in the White House. How out of touch and insensitive can Ann Romney really be? Well, here’s a clue. Of course she’s never had to make that choice, having married well from a financial standpoint, at least.